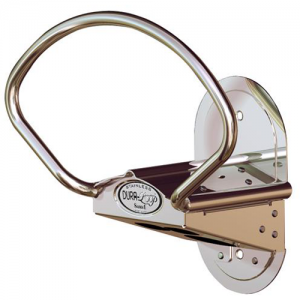 The Dura-loop® TILT is our most innovative and adjustable garden hose holder. 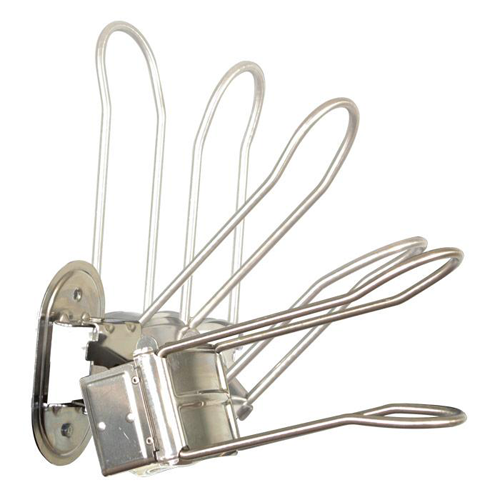 This Stainless Steel hose holder easily adjusts to three positions, and pivots 60 degrees, allowing easy removal of hose from the holder. 304 Stainless Steel. Made in USA. 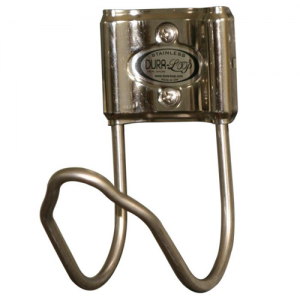 The Dura-Loop® TILT is a unique and innovative garden hose holder. 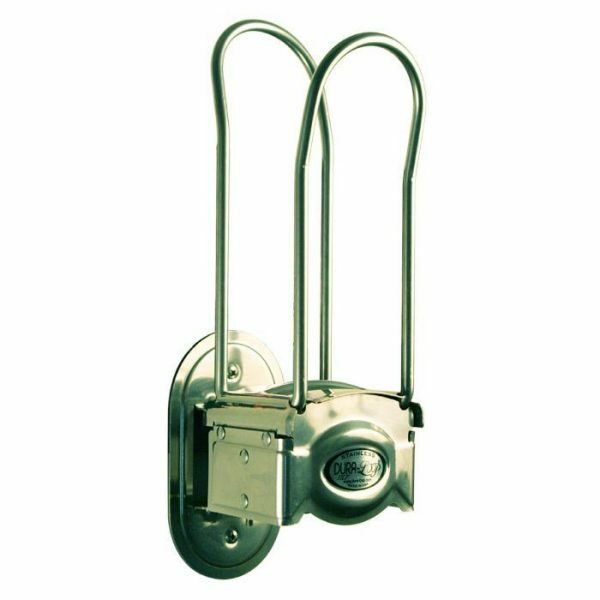 This wall mounted stainless steel hose holder boasts features that no other product on the market can offer. It adjusts to three positions: upright, 45°, and down. The upright position is perfect for storing hoses while not in use. 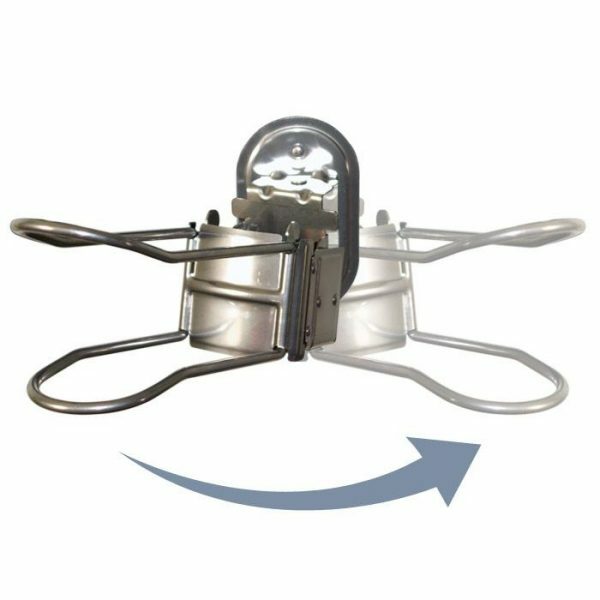 The 45° position allows for easy removal of just a few loops at a time. 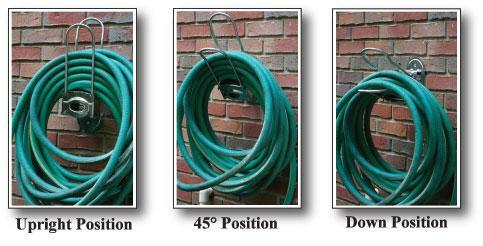 The down position allows the user to easily slide the entire garden hose off of the hose holder, no heavy lifting required! 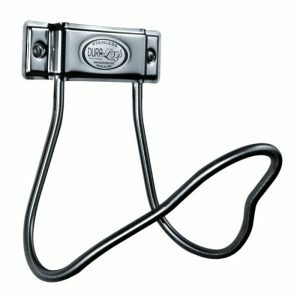 In addition to these three convenient positions, the Dura-loop® TILT garden hose holder also pivots 60 degrees, right and left. The ability to pivot makes it even easier for the user to remove hose while standing to the side of the holder.